With Wukong out of the way, the Skeleton Spirit was able to abduct Tang Sanzang easily. By now, Tang Sanzang realised that he had wrongly accused WuKong. But prior to this, Wu Kong had requested help from 4 powerful gods to protect his teacher while he was away. But these 4 gods knew that only the disciples were allowed to protect directly. So they got into the body of Piggie and Piggie was able to fight and injure the Skeleton Spirit. At the same time, the Skeleton Spirit’s husband tried to rescue Tang Sanzang and begged him to take him along. While attempting to run away, Tang Sanzang slipped and feel down. The husband tried to help him out- and at that moment, Sha Wujing rushed to the scene- he had taught the man was about to harm his teacher so without thinking, he killed him- the Skeleton Spirit’s husband was death. Piggie, aided by the powers of the 4 gods inside him, fought and injured the Skeleton Spirit. When the Skeleton Spirit escaped and later saw her husband lying lifeless, she was very sad, and very angry. She blamed Tang Shazang for killing her husband and vowed to make him suffer for killing her husband. She placed her husband on an ice cold room so that with the ice and cold, he would be preserved forever and would always be by her side. Therefore Sha Wujing was the one that really killed an innocent human being. Sha Wujing begged his teacher not to chase him away. Tang Shazang expressed remorse that he had already made a mistake by chasing away WuKong. Furthermore, it was not Sha Wujing’s fault as he had only killed because he had wanted to protect his teacher. Actually, Skeleton Spirit did not want to see the fact that her first step was already wrong. Before she began her quest, her husband had begged her to let Tang Shazang go- as he told her if she does good, then she would get good. 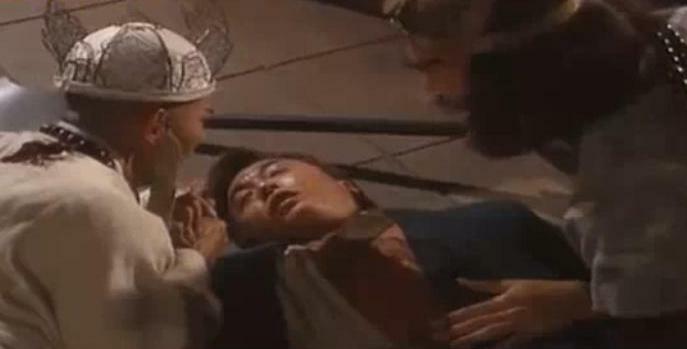 But she had refused to listen- and if she had not kidnapped Tang Shazang and had his disciples come to rescue him, her husband would not have died. We all make mistakes- of course not to the extend of accidentally killing someone but whatever it is may cause unspeakable remorse in our hearts. The past is gone, we need to move on to the journey ahead. Not forgiving someone who sincerely had repented would be unkind because that person would carry the burden of guilt on his shoulders for the rest of his life. Even though the wrongdoer is not remorseful, we do ourselves a great favour if we can forgive- for it is no good for us to keep grudges. We would carry the burden of anger…and perhaps revenge too. And we lose sight of the journey ahead or all the good we have with us. Next, we would see Piggie’s love for a woman that made him deserting his teacher.